Miniature Dollhouse Fairy Garden Antiqued Ivory Resin Pineapple Fountain | Fountain City Art Ctr. 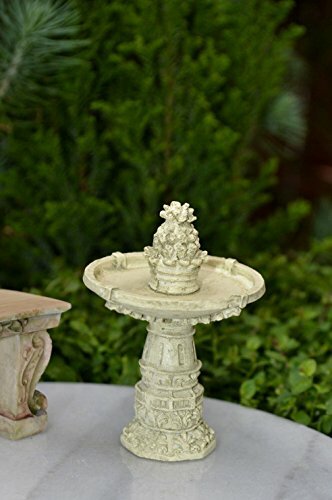 Beautiful fountain with Pineapple Finial Center ~ Makes a Lovely Addition to any Mini Garden Scene! Measures approximately 2?" Tall and 2" in Diameter (at center). Made of Resin in an Antiqued Ivory finish.